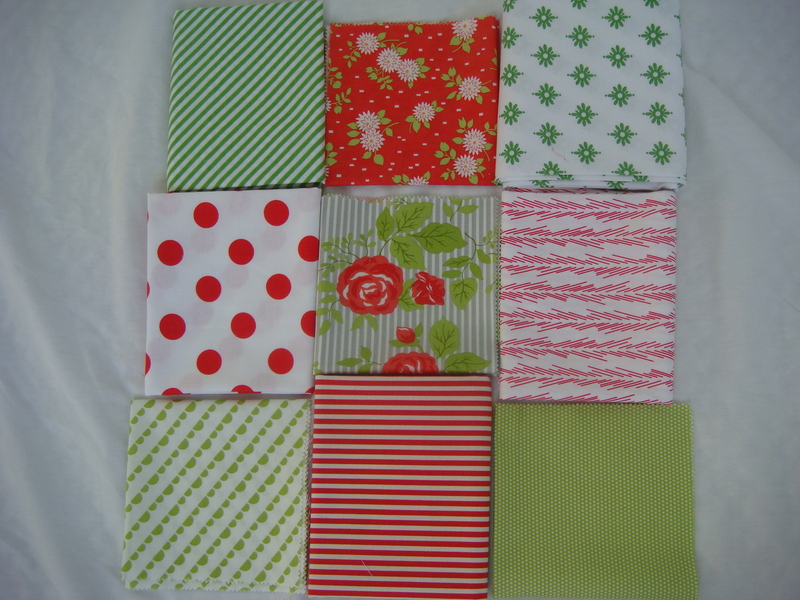 Today our goal is to cut 9 perfect 5-inch squares that we can sew together in the next tutorial. I chose a modern, Christmasy vibe for my quilt so I can use it as a decoration when the time comes! With those precautions in place I haven’t had any trouble with bleeding. But if you decide that you are going to be a pre-washer, this is the time to do it! Ok, I’m glad we got that controversy out of the way. It’s hard to cut creased fabric accurately so the first step will be to iron it. I like to starch my fabric at this point because the starch removes the stubborn creases. Some people use steam for the same reason. I prefer starch because the starch causes the fabric to hold its shape at later stages of the quilting process. If you use starch or steam, be gentle! When the fabric is wet it’s fragile and easily stretches out of shape. Quilters often like to say that we “press” our fabric, we don’t “iron” it: its a pressing down motion rather than a pushing across motion. Now that we have nicely starched and ironed fabric, we need to understand a few things before we start cutting. Selvedge means the tough 1/2 inch ends of the fabric (sometimes printed with information about the fabric). Raw or cut edge means the edge of the fabric where the fabric is cut off the bolt. Bias means at an angle. When you cut across fabric at any angle except exactly 90 or 180 degrees to the selvedge, you create a bias edge. 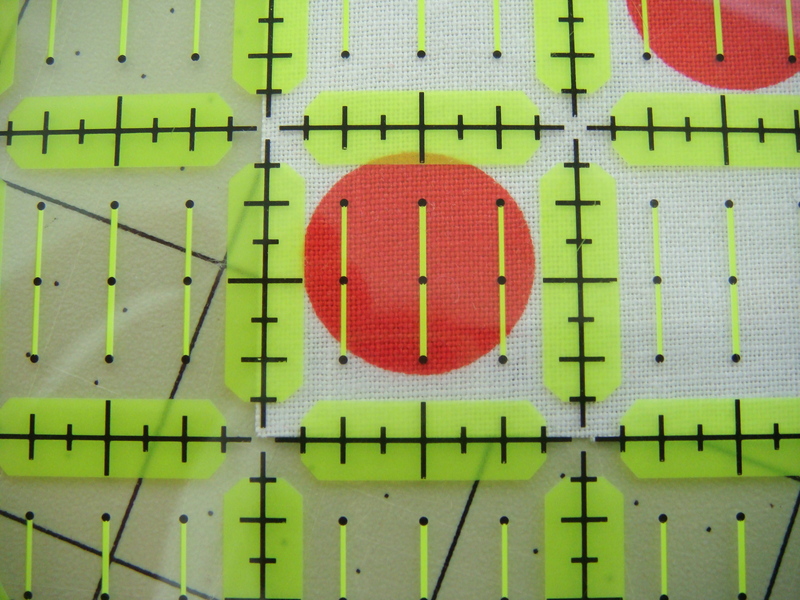 Bias edges are despised in quilting because they are stretchy and lose their shape from being handled or sewn. We work hard to avoid them if possible. Straight of grain means horizontal or vertical to the selvedge edge of the fabric (NOT at an angle). If you cut your fabric perfectly on the straight of grain your edges will hold their shape better. 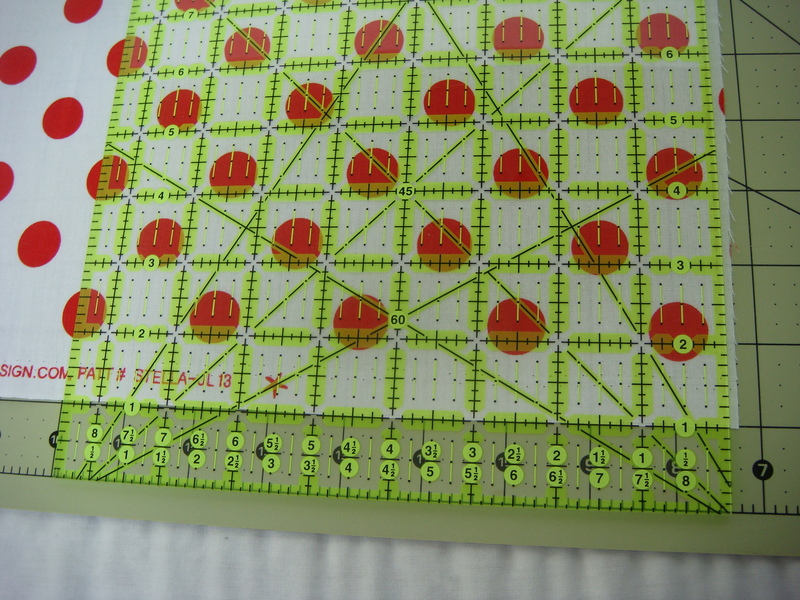 To get our perfect 5 inch squares, we are going to carefully avoid creating any bias edges by cutting on the straight of grain. 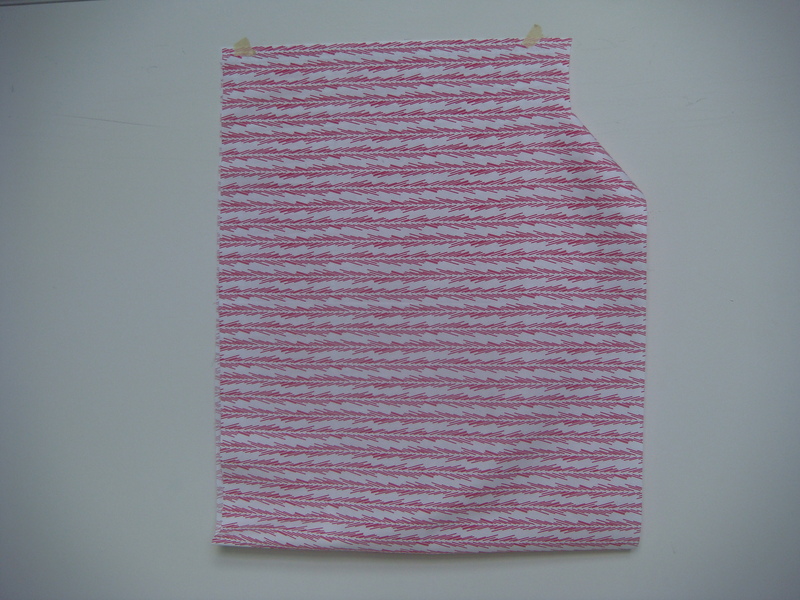 WOF (width of fabric) is the distance from selvedge to selvedge, which is usually about 44 inches for quilting fabric. 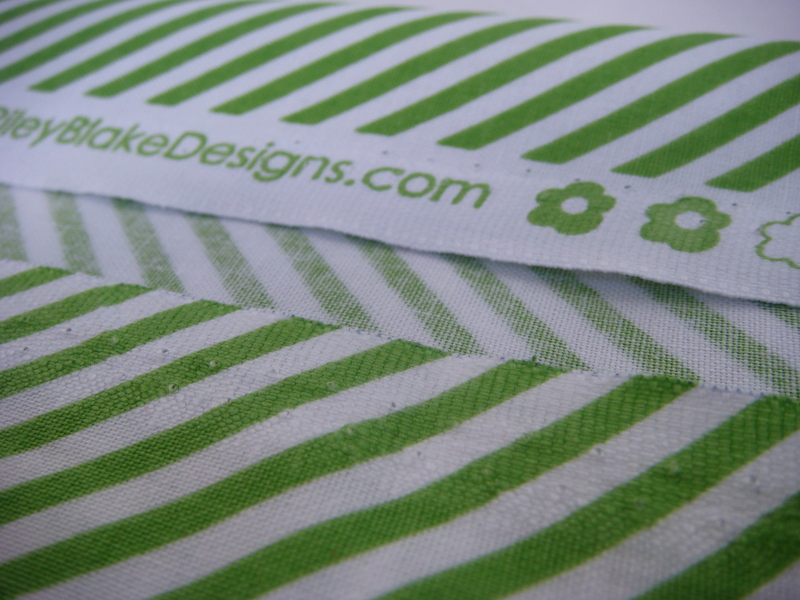 Cutting is a little different depending on the size and shape of the fabric. 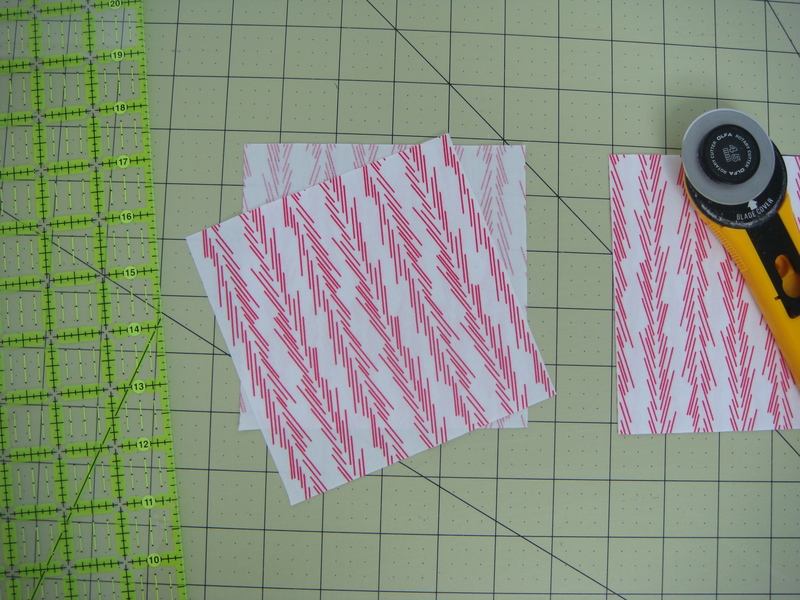 I will demonstrate cutting from a fat quarter first. Lay your fat quarter on your mat, lining up the selvedge with one of the horizontal lines. We are always going to cut either at a 90 degree angle or parallel to that selvedge, thereby avoiding creating any bias edges. But first we need a nice, straight edge to work from. 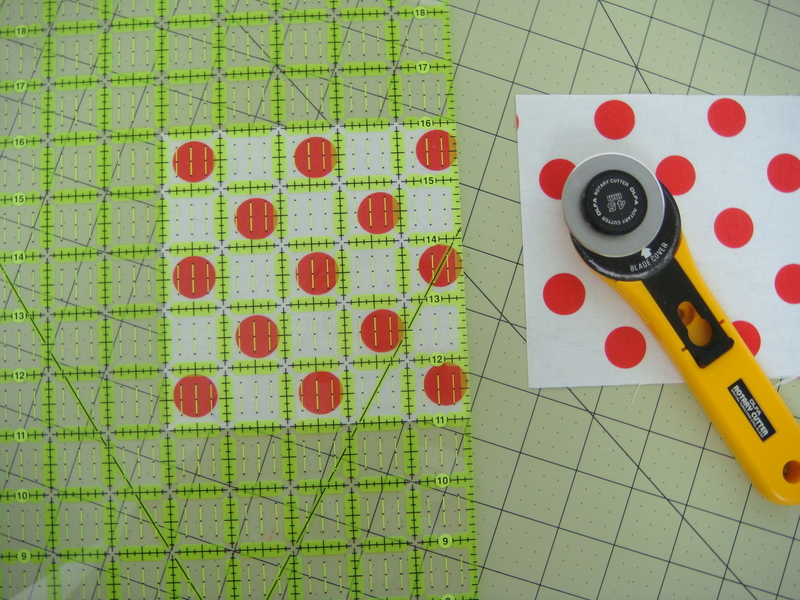 Fat quarters and yardage rarely have straight edges when they come to you. You have to create one. 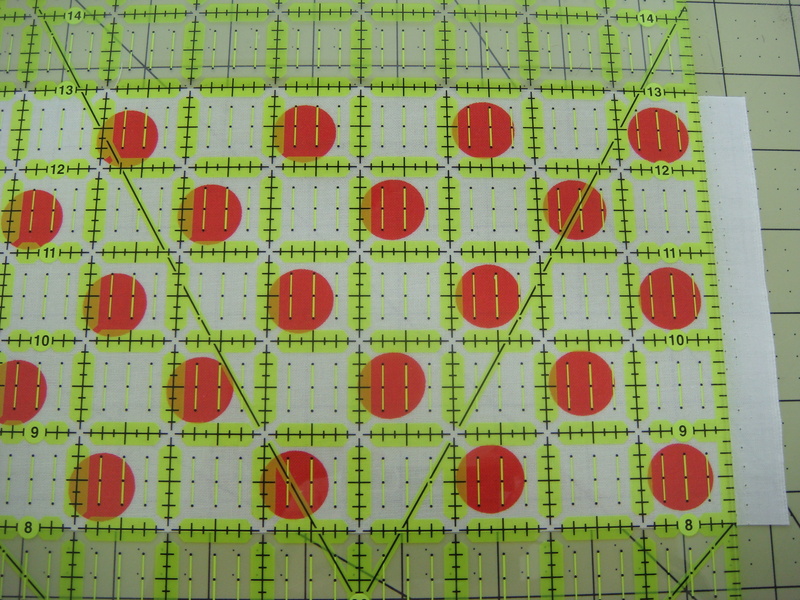 Place the ruler on top of the fabric and line up the lines on the ruler with the lines on the mat. 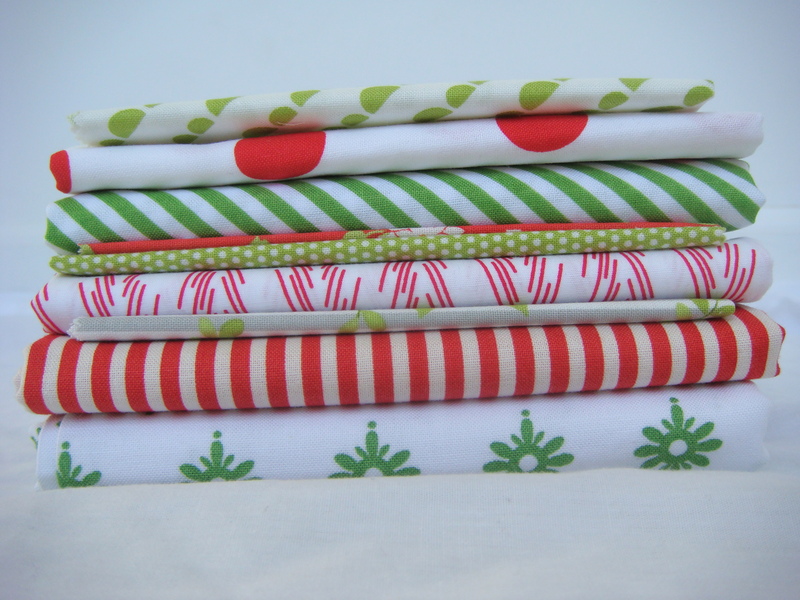 Your goal is to create a straight edge without wasting any more fabric than necessary. 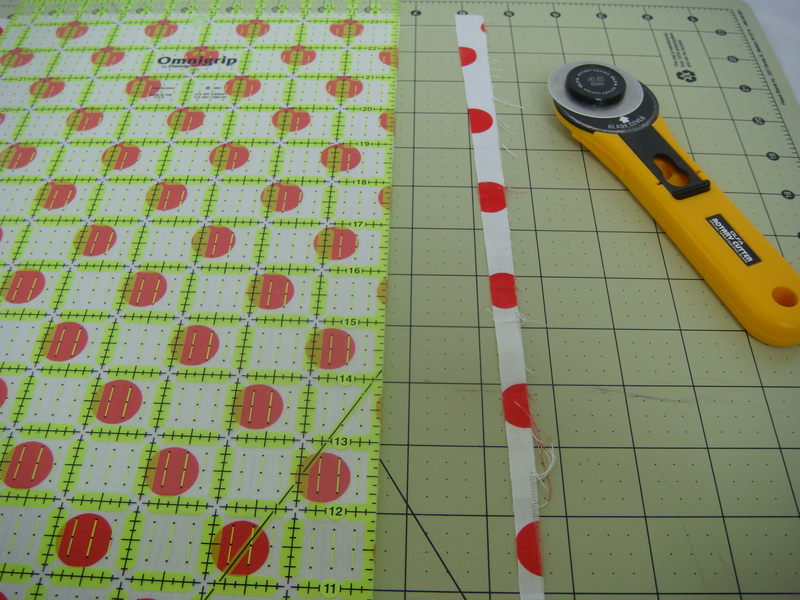 Firmly press down on the ruler with your hand and cut the edge of the fabric with the rotary cutter. Now we have a nice, straight edge to work from. Flip the fabric so that the selvedge is now at the top of the mat and position the ruler so that the 5-inch line is exactly straight against the line we just cut. Now you can cut your 5 inch strip. Next we lay our strip horizontally on the mat and trim off the selvedge, carefully aligning the top and bottom of the strip with 2 lines of the ruler. Rotate the strip again so that the freshly cut edge is to the left. 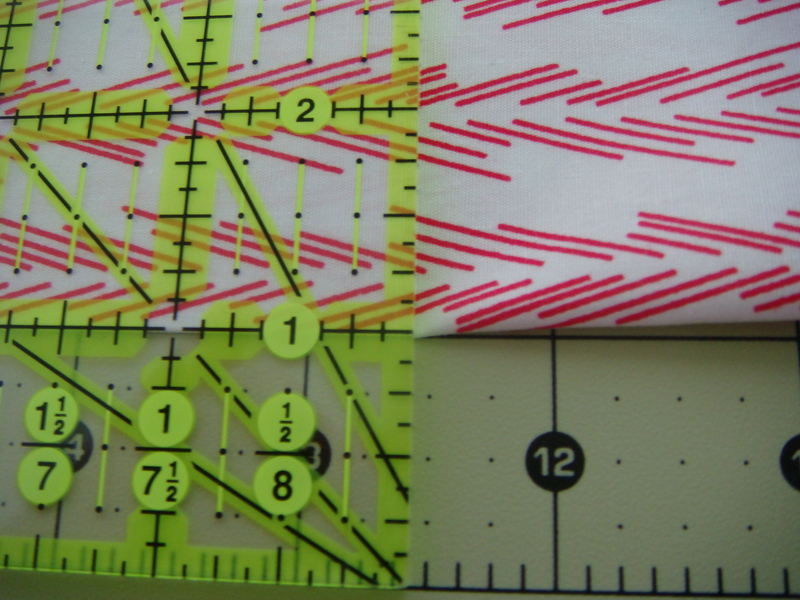 Place the rule 5 inches over the fabric and cut your square. Keep in mind that a shape could have four perfectly 5-inch sides without actually being truly square (if you remember your geometry, that would be a parallelogram). To avoid this, always watch the corners of your shape on the ruler to be sure they are 90 degrees. Hey! Look at that – a perfect 5-inch square. 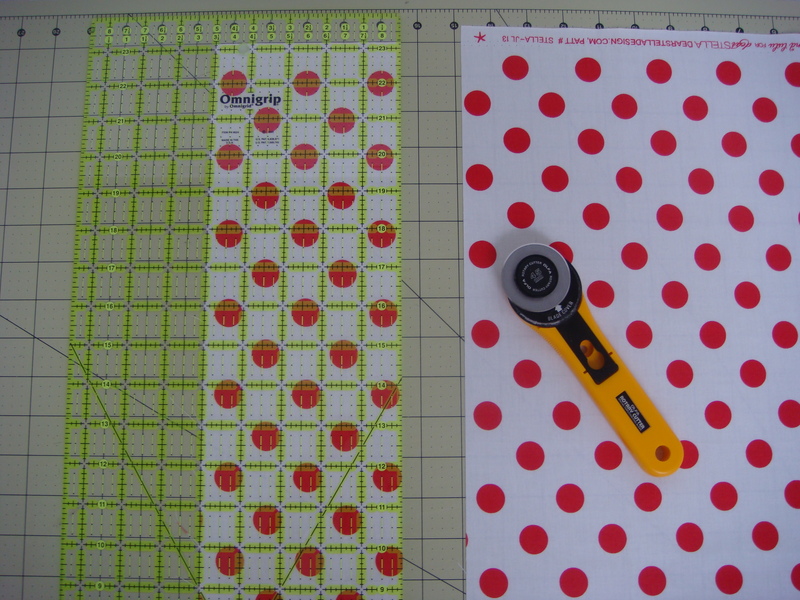 Cutting from a shape bigger than your cutting mat is just a little different. Now put the fabric down on your mat and line up the folded edge with one of the horizontal lines on your mat. 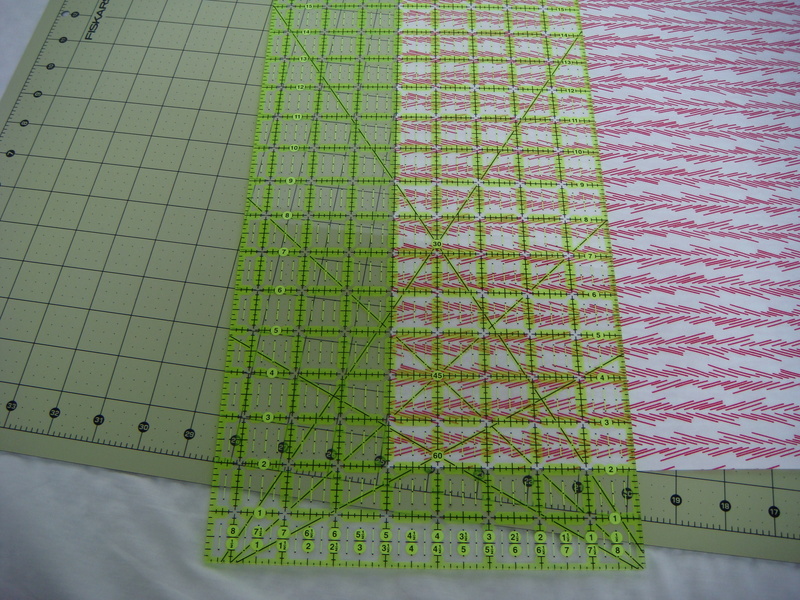 Now line up the ruler with the folded edge and the lines of the mat and make your first cut. Just like with the fat quarter, you are only trying to get a straight edge. Don’t cut more fabric than you need to. Next, flip the fabric so the freshly cut side is to the left and cut your 5-inch strip. Note that at this point, since I know the edge I just cut is nice and straight and square, I’m not even using the lines on my mat. I’m simply measuring 5 inches from the edge with my ruler to make my cut. However, any time you are cutting a shape that is larger than your ruler you will not be able to use the ruler as your source of measure. In that case you have to be extra careful to line the fabric up using the mat only. As before, cut the squares from the strip. This time you end up with 2 squares because the fabric is folded over. I don’t actually need 2 for this project but in most projects you’d need at least 2 if not many, many more! Some people layer their fabric up and cut several layers at once. I don’t do that very often because I haven’t had accurate results. Accuracy is incredibly important at this stage. 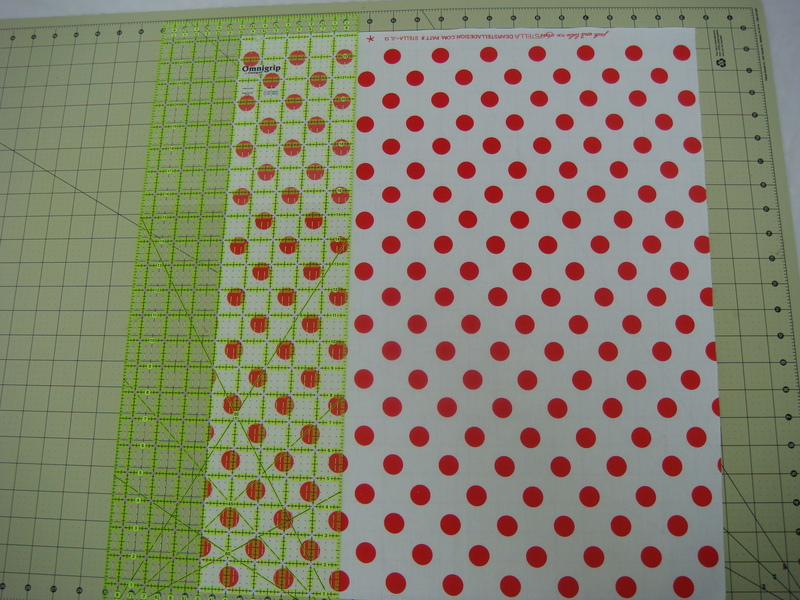 You will be depending on these cut lines to show you where to sew. 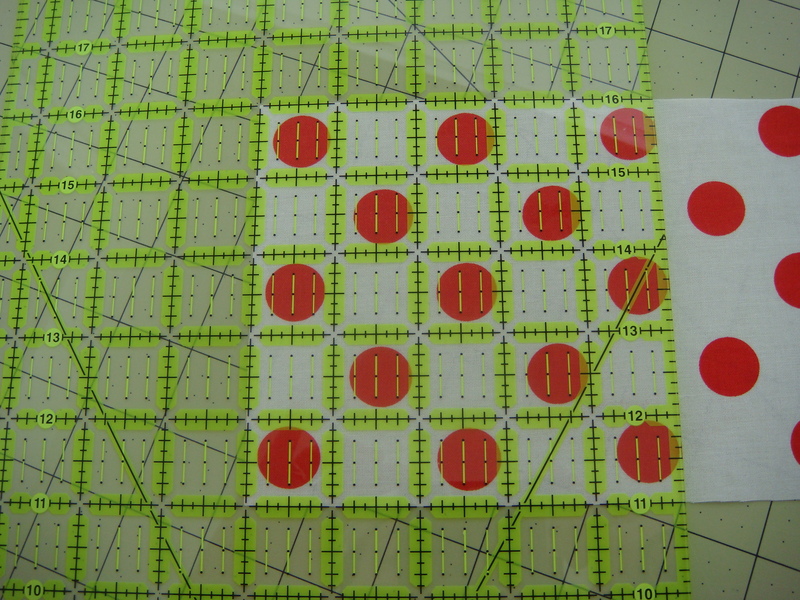 If your cut line is not accurate, your sewing line will not be accurate either. One final comment about cutting from yardage: I always try to preserve the WOF as long as possible. For instance, when I was cutting the 5 inch strip above, I intentionally didn’t cut parallel to the folded edge because I wanted to preserve the WOF. In the photographs I’m working with a half yard, which measures 18 by 44. After I cut a 5-inch strip the fabric measures 13 by 44. 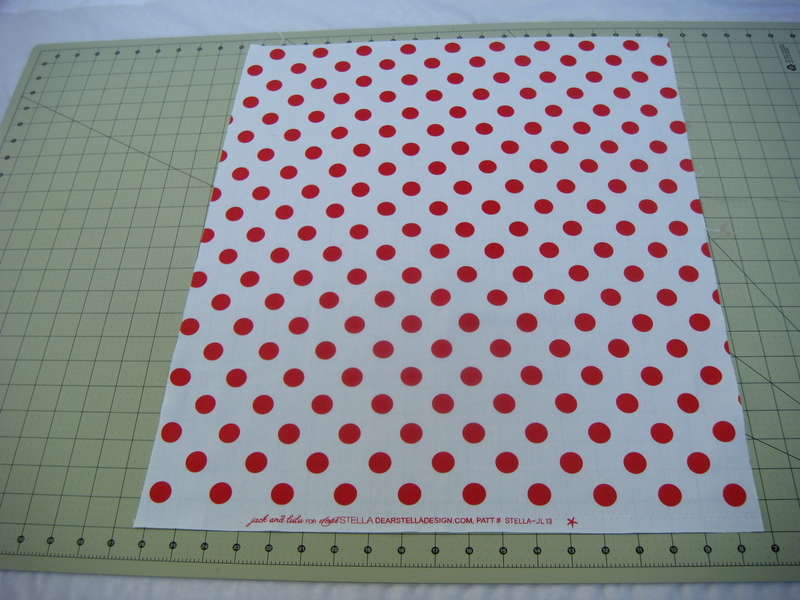 This is preferable to a piece of fabric measuring 18 by 39 because long pieces come in handy for borders and binding. Ok, now get cutting because it’s almost time to actually sew something! (In case you haven’t noticed, I added a “Your 1st quilt” tab at the top of my blog so you can always find these tutorials quickly in the future). This entry was posted in Uncategorized, Your 1st quilt and tagged Cutting, Your first quilt. Bookmark the permalink. Happy sewing.Wonderful fabrics and your tuto is easy to follow.Great job!! I have never starched fabric for anything, only pressed but I think I might try it and see how it goes. You’re so good at explaining the basics! 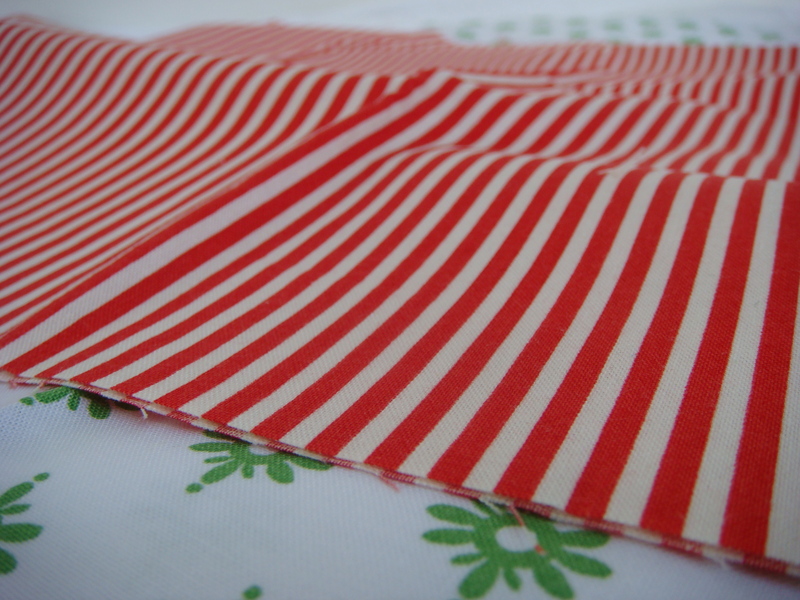 And, I love that red and white fabric that you’re using to model the cutting process. Thank you for the rotary cutting instructions! I started quilting about 4 months ago and have made 4 lap quilts but knew that I needed to perfect my fabric cutting. 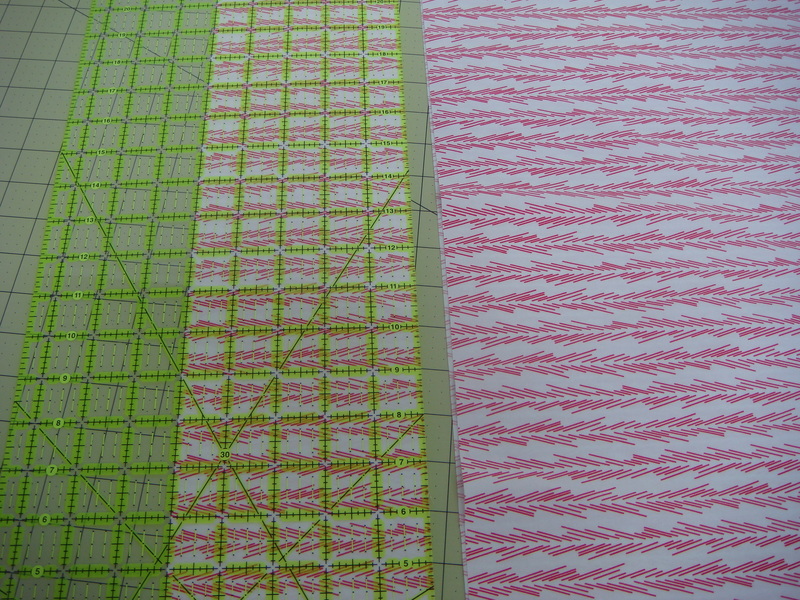 I was only using the grid lines on the self-healing mat and not paying much attention to the ruler lines…duh!!! I just bought a bottle of liquid starch to cut down on fabric stretching, so will try it out on my next quilt project. I really appreciate your help…thanks again. Thank you for this. 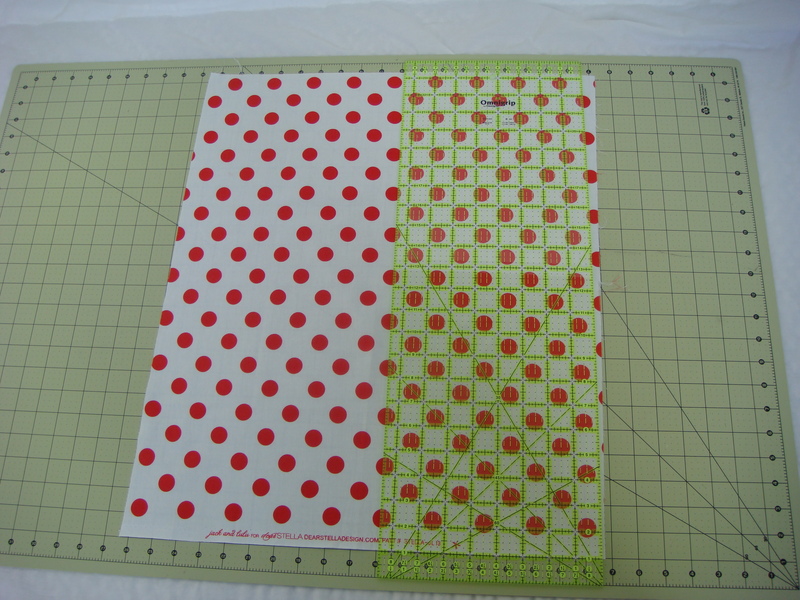 I have a very difficult time squaring fabric, so this step by step with pics will really help.